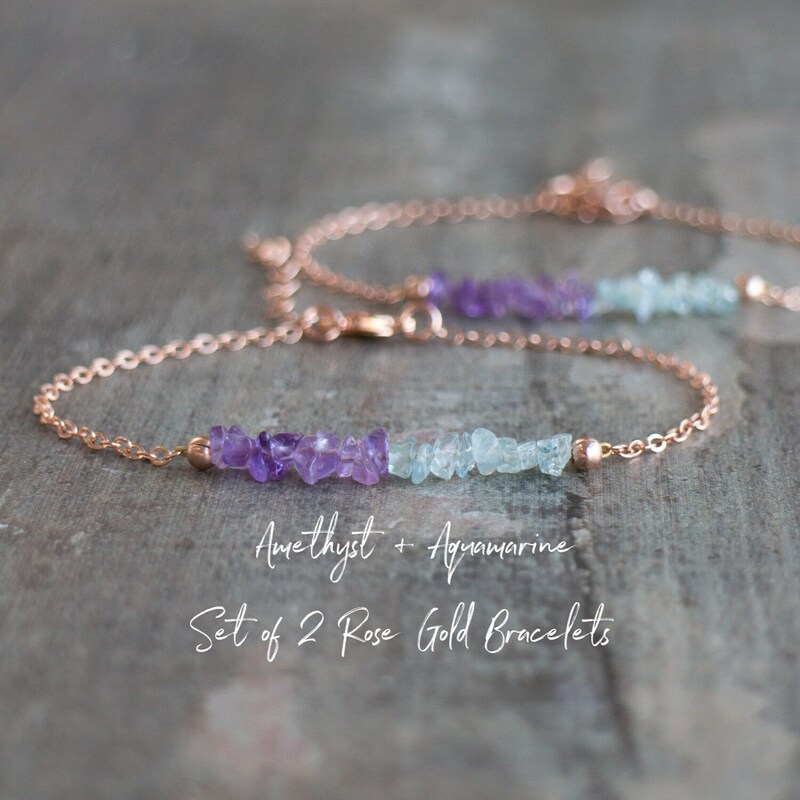 •Raw, natural yet sweet and dainty set of 2 bracelets or necklaces of your choice! 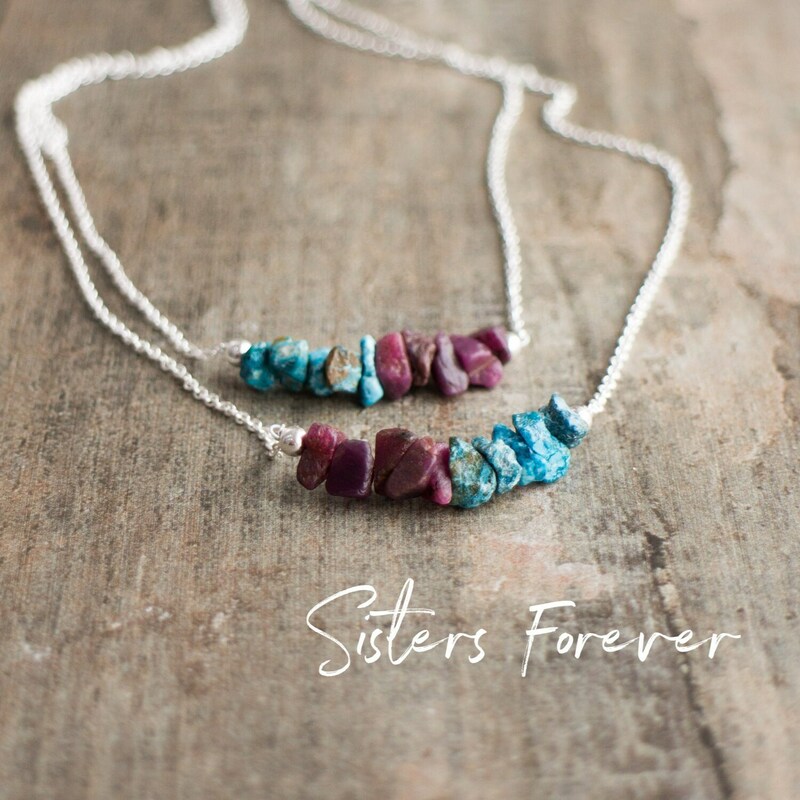 Would make a great gift for you and your sister! If you want a gift set for 3 or more sisters you can order them individually through the listing below and leave us a note for the sister cards, we'll include them in the boxes. 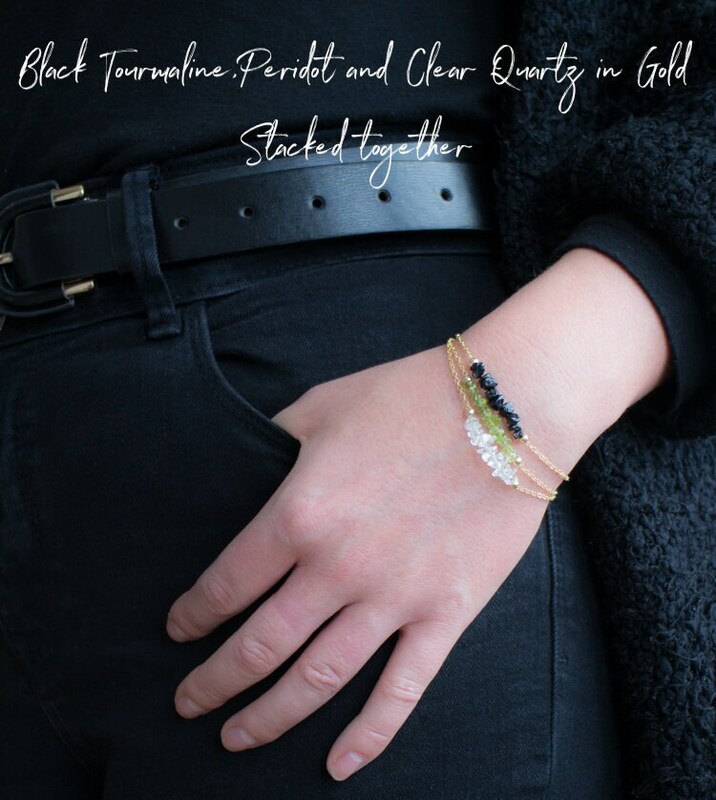 All natural, raw crystals have been set seamlessly to the centre of dainty yet strong chains. 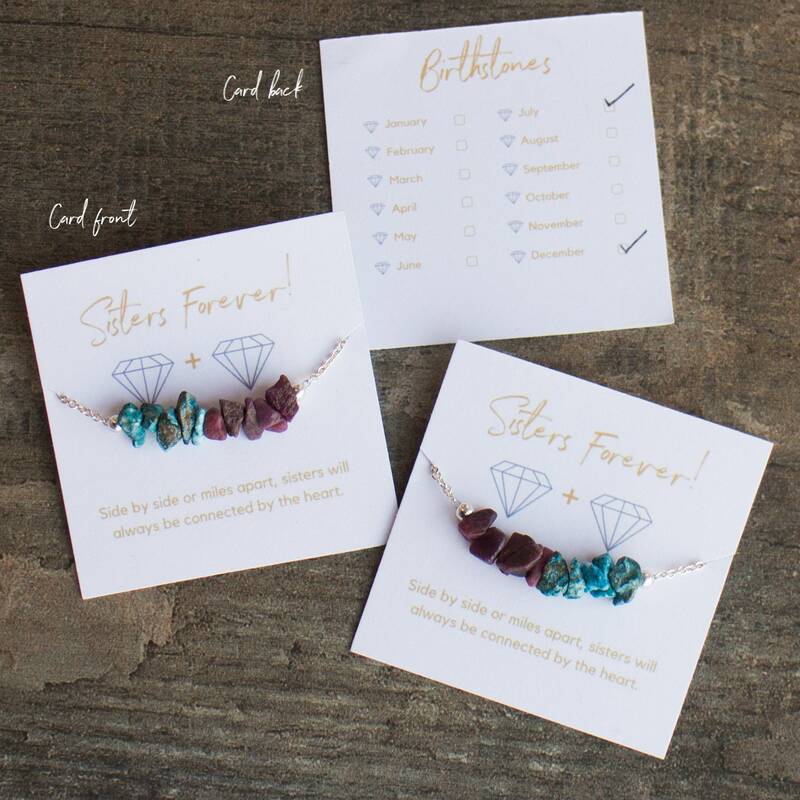 All birthstones and more available! Fully customisable with 39 stones and 3 metals to choose from. Bracelets are adjustable and necklaces come in 6 length options. Available in Sterling Silver, 14K Yellow or Rose Gold Filled. •Using the keys in the 4th and 5th images, please select your birthstones. 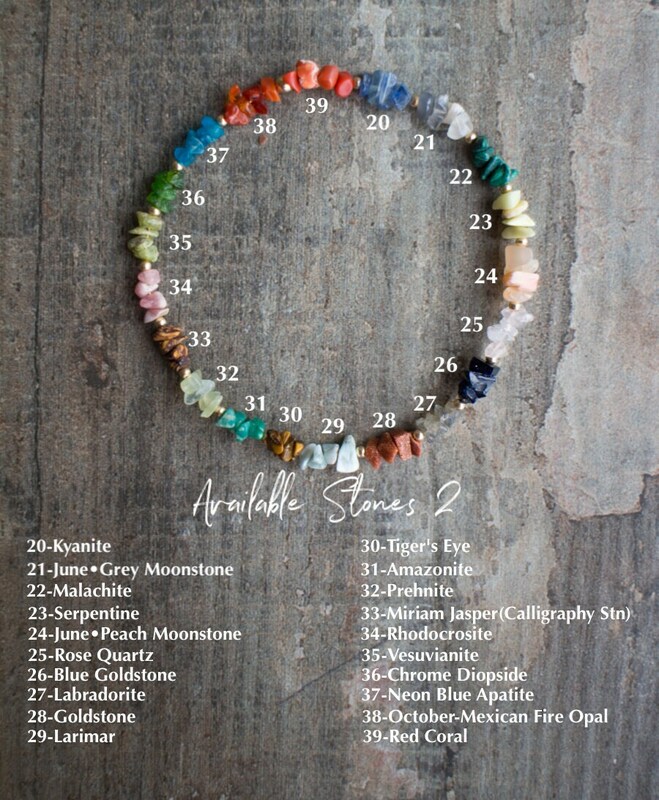 •Please see that there's a slight size difference to some stones and we have several options for some of the months. 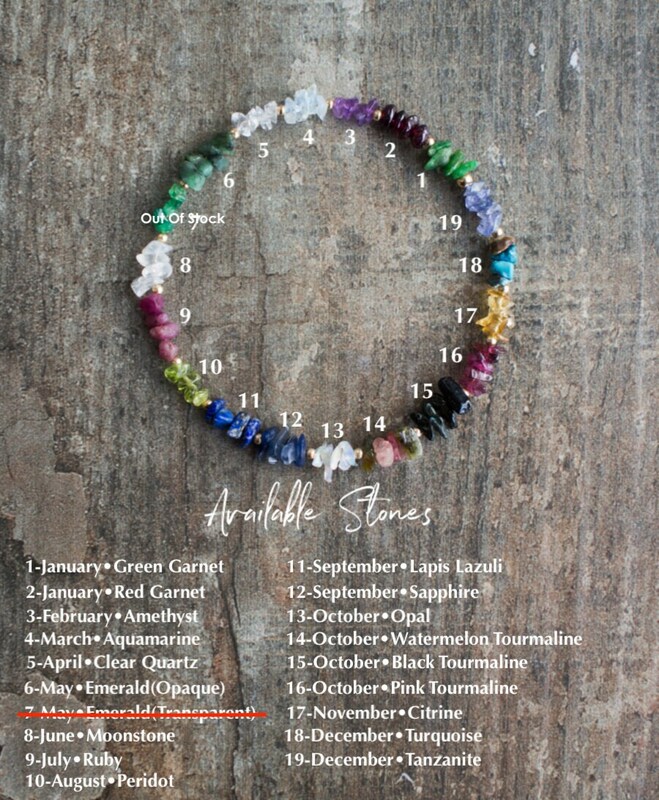 If you don't specify exactly which stones and just leave the month names we'll choose the stone that looks visually best next to the others selected. 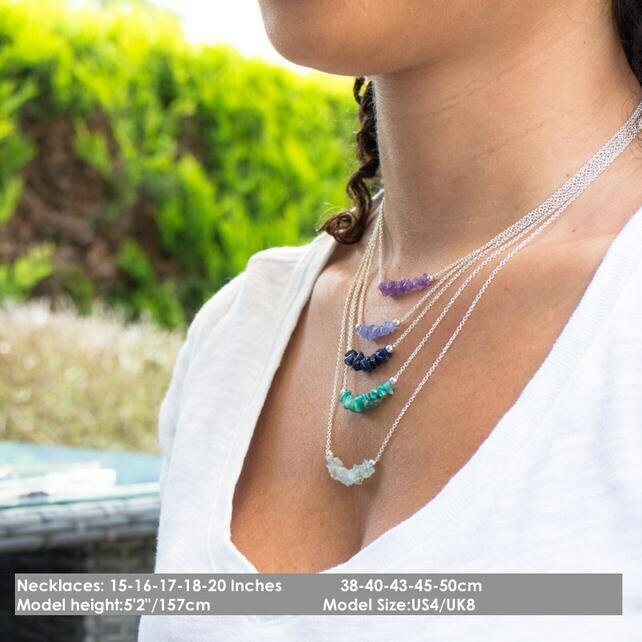 •Please see all images for the necklace and bracelet versions and the scale. 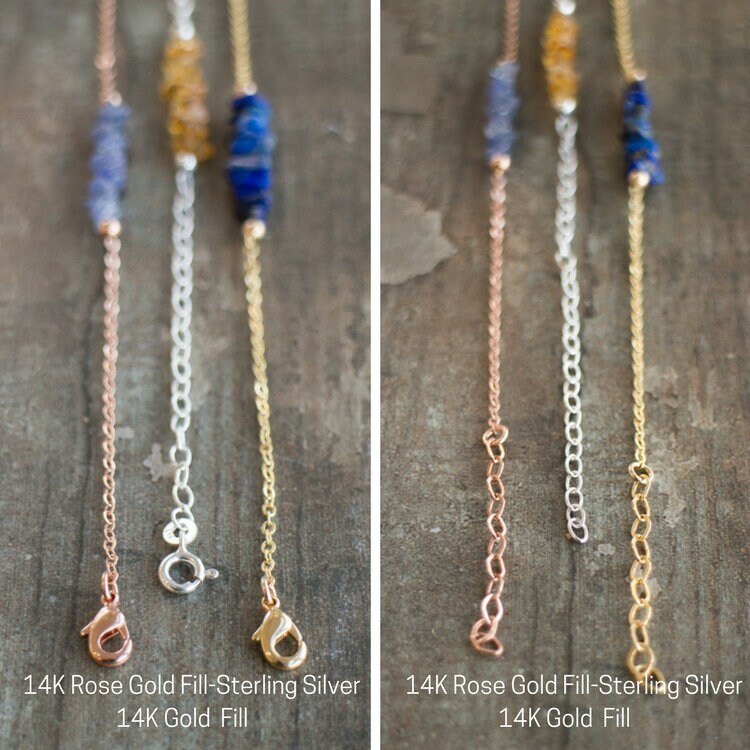 •Choose your metal and length from the 1st Drop Down Menu for the 1st item. •Choose your metal and length from the 2nd Drop Down Menu for the 2nd item. 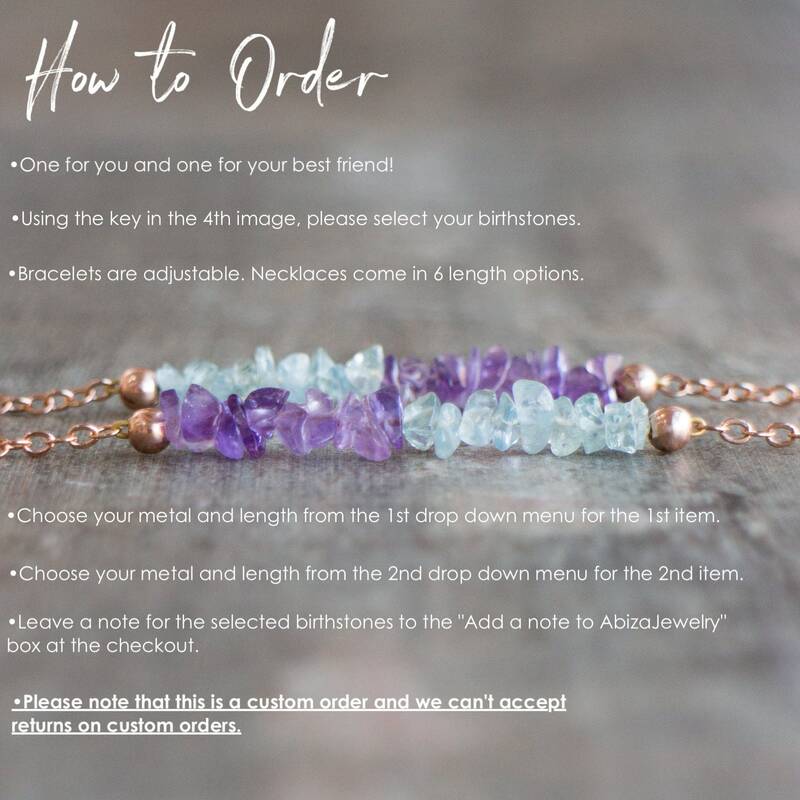 •Leave a note for the selected birthstones to the "Personalisation box"
•Yellow and Rose Gold Filled bracelets are adjustable 6.5"-8"/16.5-20cm (if you want it shorter please leave a note at the checkout whether still adjustable or a fixed length please) See the 9th image. Silver adjustable from anywhere up to 8'/20cm. •Please note that this is a CUSTOM order and we can't accept returns on custom orders. 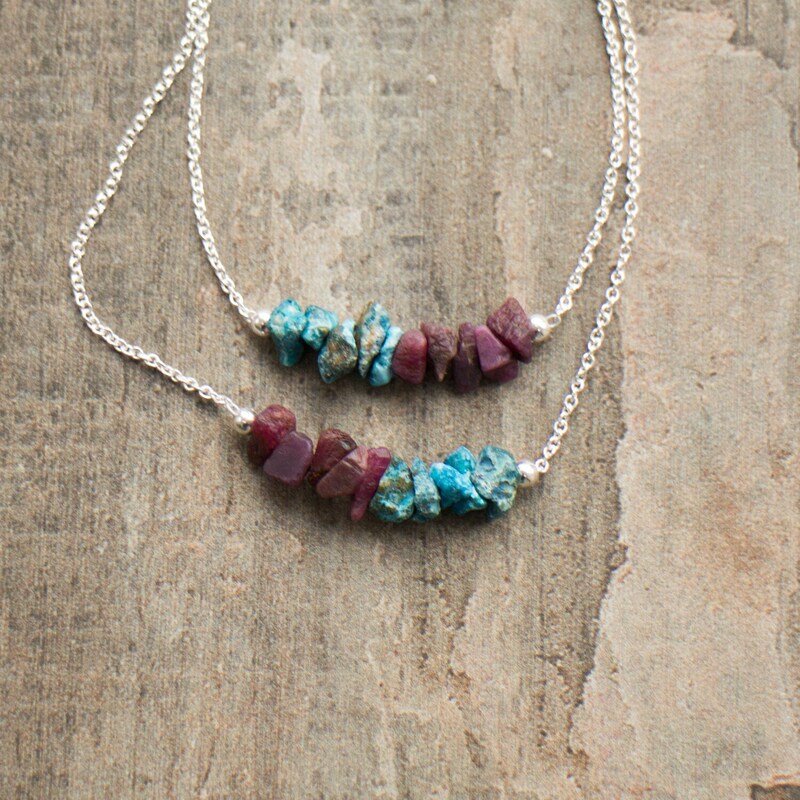 •These are earth mined, rough, uncut gemstones and each one is unique. The stones may contain natural inclusions.